Holiday house with 150 qm living space. Living room with integrated kitchen, three bedrooms, a shower room and a guest toilet. Convenient and practical. Electricity is supplied to the house with a solar system, hot water with a solar water heater and stove works with gas. No TV, but room to listen to music, read and play. 5 GB for e-mails etc. are available. The house is ideal for a large or two smaller families. The distance to the beach is 2.5 km. On the large property there is an olive and figs grove, a spring and a vegetable garden, where can be harvested depending on the season. 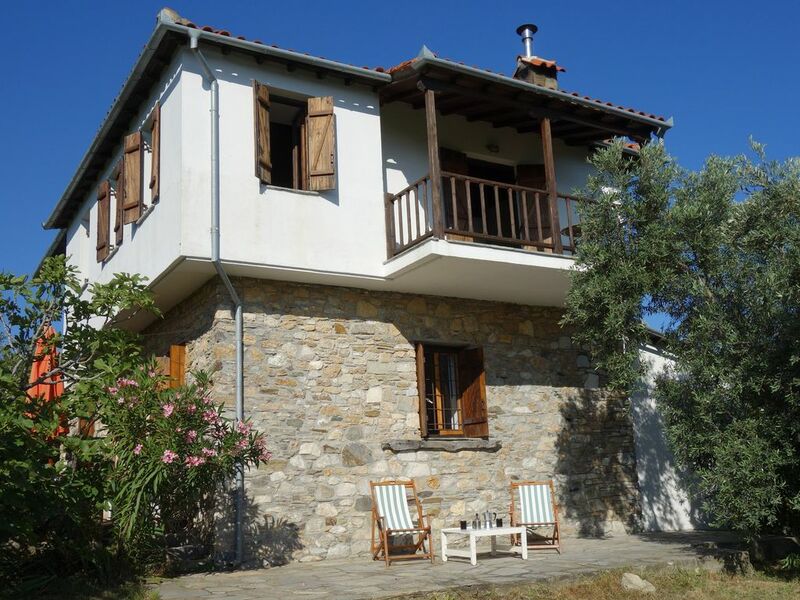 Xinovrisi is located in a hilly region in south-east Pilion. The beautiful sandy beaches offer what ever you'ld like; solitude or friendly tavernas.